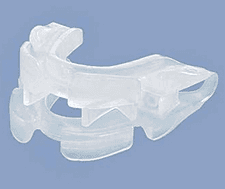 The Zyppah and VitalSleep are MADs (mandibular advancement devices). The Zyppah has an additional feature that really makes it more of a hybrid device. I found each device very comfortable to wear. However, the Zyppah has a slight edge over VitalSleep in terms of effectiveness and comfort. VitalSleep costs less, cleans easier and has a unique design that may be more comfortable for some. 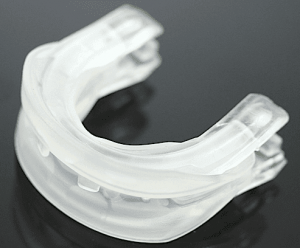 One of the snoring mouthpieces takes a little more work than the other does; it really depends on the individual. You should read about my experience and commentary on each and then make up your own mind as to whether the Zyppah or VitalSleep will work best for you. 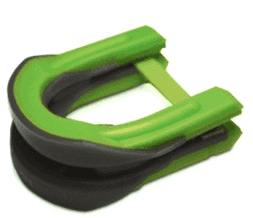 I like the fact that the Zyppah incorporates two types of anti-snoring methods. As an MAD, the Zyppah pushes the lower jaw forward to keep your airway open. As a TRD, it stabilizes your tongue and keeps it from flopping back into your throat and does so, unlike most TRDs, without using a suction cup. The Zyppah is labeled "made in America" and has FDA (Food and Drug Administration) approval. I cannot complain about the shipping process. Within 2-3 days of ordering my two Zyppahs, they arrived. After opening the box, my wife and I ensured that we followed the fitting directions carefully as according to user reviews if you do not do so you may encounter problems. The first night was great. We both awoke refreshed. My son reported that he could not hear any snoring. Our mouths were a little sore though but after a few days of wearing the Zyppah to bed, the soreness vanished. Cleanup took less than a minute. We merely put our devices in a glass of warm water and added a cleaning tablet (you can use denture cleaning tablets stocked at any pharmacy). Since the sleek design meant no crevices or cracks for germs to accumulate in, no scrubbing was necessary. The two week trial ended satisfactorily. My wife and I felt refreshed each morning and my son was not kept awake by any snoring sounds emanating from our bedroom! The first thing I did when my order, one large for me and one small for my wife, arrived was clean them both. We then used the boil and fit to customize the devices. Then the first night we used the included hex tool (something else to worry about losing) to fit the units to our jaws. After the first night, we both felt great. My teenager advised us that he could not hear any snoring coming from our room. My mouth was a bit sore but after making a slight adjustment the rest of the week I felt fine. Our biggest complaint was the cleaning. You really cannot get the device properly cleaned without spending a bit of extra time making sure you carefully brushed each cranny and crack. My wife and I both agreed we were probably spoiled by using the cleaning tablets for other devices we tested. After a week, we got used to the extra brushing. The Zyppah and VitalSleep provide very comfortable fits. The TRD on the Zyppah may make some more inclined to purchase this device. 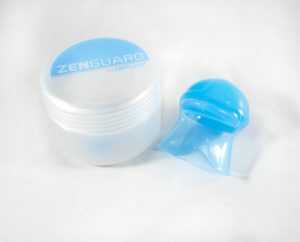 However, others who have a tendency to grind his or her teeth may want to try the VitalSleep. Overall, the Zyppah came out ahead for me. If you buy either one, make sure to use a Zyppah coupon code or a VitalSleep coupon.